We're Thankful For Noah's Biggest Fans: Supportive Grandparents! You are here: Home / Parenting / We’re Thankful For Noah’s Biggest Fans: Supportive Grandparents! We’re Thankful For Noah’s Biggest Fans: Supportive Grandparents! Today we had a blast hanging out at Noah’s friend Miss T’s first birthday party. We met Miss T’s parents through the Down Syndrome Guild of Dallas and have become good friends with them over the last year. 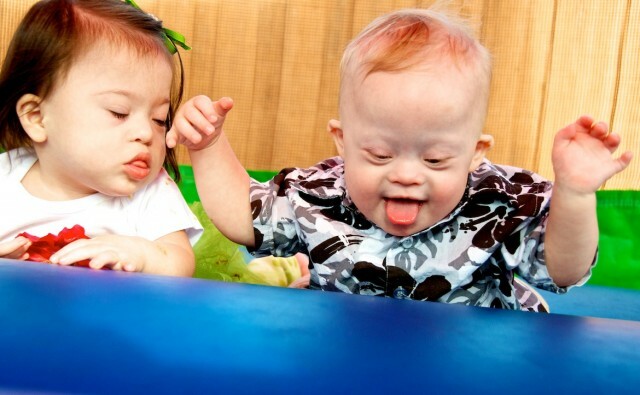 Their little girl was also born with Down syndrome and a month younger than Noah, so it’s a lot of fun watching them play together. One awesome thing about having children is all of the birthday parties you can attend now (without looking like a creeper.) Birthday parties = cake. And cake = good. That’s what I call a parenting win! We’ve actually gotten to know lots of great families through the guild, many of which whose children are around the same age of Noah. I like that our son (and all of these other children) has the opportunity to build such a strong group of friends (who also have Down Syndrome) at such an early age. 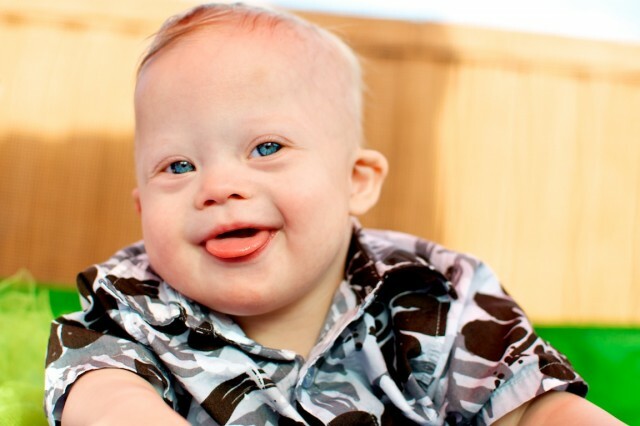 Don’t get me wrong; Noah also has lots of typical friends, but as they get older none of them will be able to really, 100%, be able to relate to him, at least not the way that other children born with Down syndrome can. My hope for our son is that he has a wide variety of friends in his life who love and support him, both with Down syndrome, and without. This weekend is sort of like Down syndrome shock therapy for my wife’s parents who are in town visiting from Colorado. 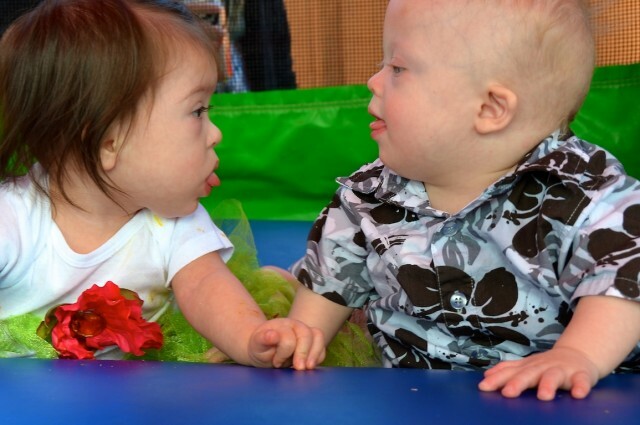 They (like me) had limited interaction with people born with Down syndrome prior to Noah being born. 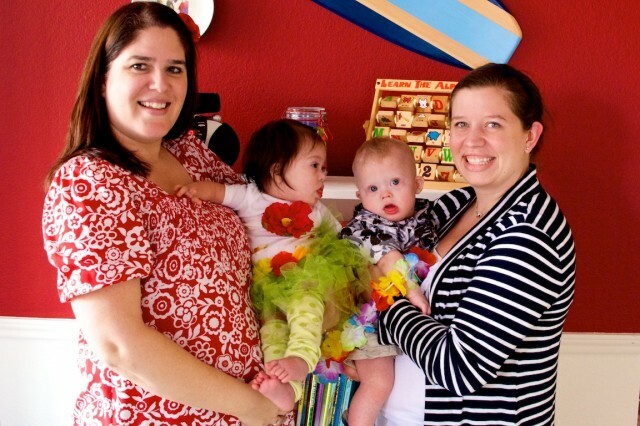 (My wife is a pediatrician so her experience is greater than all of ours combined.) But all that was about to change. Grandparents make the journey better! I’m gotta say when it comes to grandparents, Noah hit the jackpot! Both my mom (my father isn’t alive) and my wife’s parents knocked it out of the park when Noah was born. 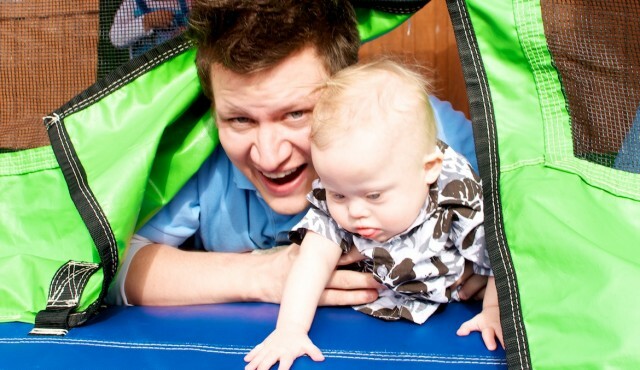 I mean seriously, when we received Noah’s down syndrome diagnosis they didn’t miss a beat. From the second Noah was born they’ve been right by our side, encouraging and supporting us every step of the way. They have read up, studied up, asked questions, Facetime’d, Skype’d, called, visited, and have done everything they can to learn about Down syndrome, support our family, and be a part of Noah’s life. This little boy’s grandparents truly spoil him, and not just with stuff. Sure, they like to buy him fun clothes and toys, but better than that they spoil him with their love. And I love that. I couldn’t be more proud of Noah’s grandparents. What if MY child’s grandparent’s aren’t supportive? Sadly, I know that not everyone has had the same experience with their child’s grandparents as we have. 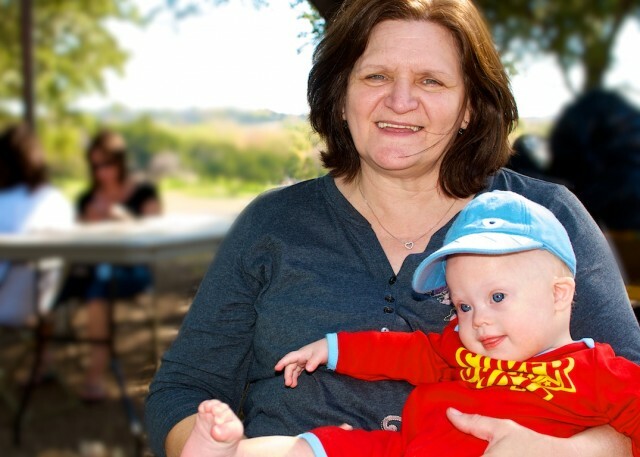 Some of you have been deeply hurt by how your parents (your child’s grandparents) have responded to your child’s Down syndrome diagnosis, and reading about other people’s supportive grandparents just adds salt to your wounds. 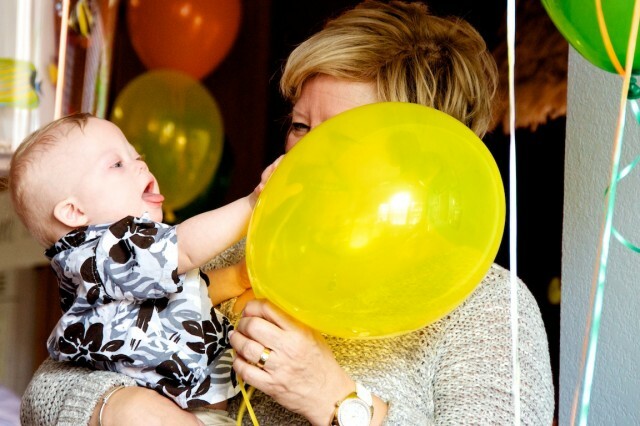 If your child’s grandparents are having a difficult time accepting and supporting your new child with Down syndrome, I’d want to remind of you a few things that I hope will encourage you. Sometimes all we need's a nap! First, I want you to know that I am truly sorry for what you are going through, and how this is making you feel. Second, I want you to know that it’s not your fault. You have done nothing wrong. You are not responsible for their actions. The painful actions of a family member have the ability to hurt us deeply. But I want you to have hope. People can change. Wounds can be minded. Hearts can be healed. Don't let other people take away your smile! I’d encourage you to pray for them often, shower them with grace, and remember that you can’t change anyone. But you can choose not to let their actions steal your joy. I know it’s difficult, but God is able to break through the hardest of hearts. Just keep being an awesome parent yourself, and let your actions speak louder than your words. Don't let others keep you having fun! And remember, you aren’t on this journey alone! Not only are we here to support and encourage you any way we can, but there are thousands of other families on our Facebook page just waiting for the chance to get to know you. You have lots of friends on this journey with you. Be sure to leave a comment below, send us a note, or post a picture of your family on our Facebook page, we’d love to meet you. We want to know something awesome about your child’s grandparents…. Please take a minute to leave a comment below and tell us what you appreciate about your child’s grandparents. Is it their support you appreciate the most? Is it the way they love on your chid? They way the bake the best chocolate chip cookies? Maybe it’s the way they would do anything for them (like build them a swing set!) Whatever unique way you appreciate your baby’s grandparents take a few minutes to leave a comment below and tell us about it. Well, speaking as a grandparent of “normal” children, I can’t imagine I’d love them any less if they were born with DS, or any other difficulty. 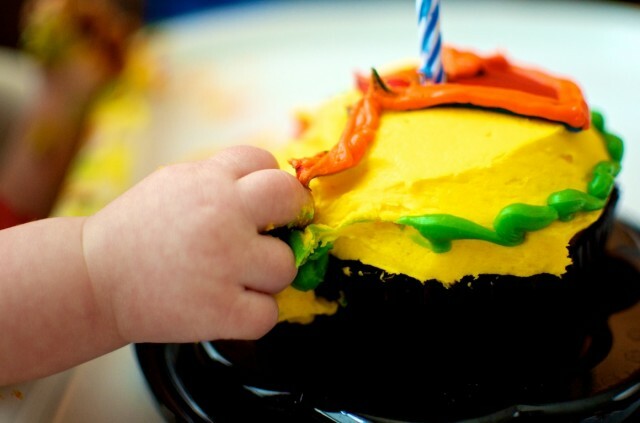 I hope that children with Downs who don’t have grandparents of their own can find friends, neighbors, church members who would be more than happy to be the “grandparents.” I love all the pictures, especially the one with the frosting hand and the one of the circle where one child wants to “taste” his friend. I totally agree with you. I hope new (and not so new) parents know they aren’t in this alone. there are so many wonderful people who would love to be on this journey with them. Thanks for the kind words about the photos, and by the way, how old are your grandchildren? We’ve had an interesting journey with our friends and relatives. (I was 19 and while we are now married, my husband and I weren’t at the time which was difficult for many people I knew at the time.) Warren will be 7 years old this July, and we didn’t get his diagnosis till he was born and things were “wrong”. Warren didn’t have any heart defects, but was born with too many red blood cells so he was behaving a lot like a child with an immediate heart issue. My mother in law tried very hard to be supportive, the first conversation I remember having with her was her telling me that he would never ride a bike, or read. She’s come a long way, I know she loves him very much, but when she comes to visit it’s hard because it’s very clear that she doesn’t know what to do (and doesn’t intend to pursue any reading on the subject). They always play legos together, and that seems to work for them. My father in law did a bunch of research online that I guess told him that kids with DS often respond well to music and sound. While Warren was still in the hospital, I remember he brought a mouth harp, a tuning fork and a whistle. My mom works with adults with developmental disabilities, so she was very helpful in the “the world isn’t coming to an end” angle. I remember my dad not handling it well (he was very sad) so he came and saw us in the hospital and then didn’t come around for awhile until he could handle it. Something sort of off topic but interesting; we’ve found out that we’re pregnant again and due December 19th (yay!). When we told my in laws they put this huge focus on just hoping we’re going to have a healthy baby. While we are also hoping for a healthy baby, our definitions are different…Warren is healthy, yet their definition seems to disagree. A couple friends have had the same reaction, and while no one has flat out said it, every time someone says “I suppose you’re just hoping for a healthy baby, right?” I feel myself reacting badly (inside). I have been asked about the odds of “it” happening again, which is also interesting. We knew that there was a 1:20 chance that Tyler would be born with Ds but we never did prenatal testing (amnio) to confirm it. When he was born, we were told that he was fine…small but healthy and fine. I assumed that that meant he didn’t have Ds. The following day, my husband took my older boys to their soccer games while my parents visited with me and Tyler at the hospital. As luck would have it, they were there when the house pediatrician(and former geneticist) came in to talk with me. I knew it by her face she had something important to talk with me about and when she pulled up a chair to sit down, I just knew. She proceeded to tell me that Tyler had, in her opinion, too many soft markers to be a coincidence (small, curved pinky, gap between his big toe, low muscle tone, and slightly slanted eyes), and she felt he did have Ds and that she wanted to run the chromosome tests. I was floored. I would have been prepared for the news the day before but when they told me he was “fine” I let myself let go of all the worry and stress I felt for much of my pregnancy and I felt like I could breathe for the first time in months. To have the doctor come and talk to me the next day was not something I was at all prepared for. I remember her asking me if I had any questions and just opening and closing my mouth, looking at my dad, who stood quietly beside my bed, looking at Tyler in his bassinet with tears in his eyes that he tried not to let me see. When the doctor left, I lost it but thankfully, my dad was there. He immediately sat down on the bed, gathered me in his arms and held me…rocked me and told me that everything was going to be ok, that Chad (my husband) and I were wonderful parents, that I was one of the strongest women he knew, and above all else, that EVERYONE would love and support Tyler. I don’t think I could have gotten through that afternoon without my parents being there for me. And, long story short…everyone in my family, especially my parents and three sisters, have been a wonderful support system for us. My dad, especially, has a special relationshiop with his little buddy, Tyler. He has 8 grandchildren…Tyler’s the youngest…and I know that he loves all the kids. However, my dad isn’t shy about saying that Ty holds a special place in his heart and that he’s his little buddy. For months after his birth, my dad carried around Ty’s picture and I know extra prayers are said each night for my baby (my dad is a devout Catholic and the BEST role model when it comes to having faith). We are truly blesses. Lovely that Noah has his grandparents about to love & help him. My has none…. having had two pass away while in utero 🙁 Dad knew she was coming though :-). Her remaining ‘Granny’ had lost her husband and was in a nursing home by the time Ciara arrived so she sunk into a kind of grief induced dementia….. Ciara brought her back to life! They could kinda understand each other & ‘Granny’ was so pleased to carry her little Grandaughter around on her lap in the nursing home with other jealous old ladies looking on. Ciara was bouncing on her bed as she breathed her last and I’m so pleased they got to spend nine precious months together. I was looking at the pic of all the cute babies with DS in one place thinking how blessed you are to have that kind of contact with them. My parents made it a point to be the kind of grandparents me and my 7 sibs never had, and my mom has done her best since losing my dad 2/19/07 to hold down the fort. I live in Kansas and most of my family is in Indiana and I am always happy to hear that my mom is going to some event or that any of her 18 grandkids are hanging out. And, yes…she does make great cookies! As an unwed mother, I lived with my folks the first few years of my son’s life. They were always loving toward my Jim and supportive as much as they could be, even if they weren’t very thrilled with me personally. Any negativity was short lived and far between with us all trying to make the best of it. With the loss of my dad, I was especially grateful that I was able to have that kind of time with him as an adult and to get to know my mom better. It also helped to have a professional mom on hand when dealing with a new baby. I feel Rick’s comments on those grandparents who are less than supportive it right on. 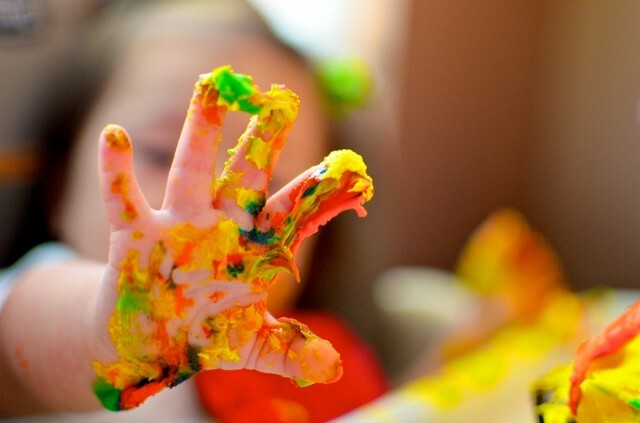 I think any special needs child intensifies the feelings people have within them in regards to their attitudes towards life and how they felt growing up…as I have heard enough comments damaging to the normal kids as well. This is why one shouldn’t take what someone else says personally…they are just showing you where they are at in life and your kid is there to help them grow, whether they like it or not! My grandparents rocked my world just by loving me. I have watched my parents and in-laws with my daughter and their other grandchildren. They have been a HUGE influence on her. Perspective is what gives grandparents a different set of concerns. I also have the joy of watching interactions of grandparents and grandfriends (older friends of children) in my work providing intergenerational programs. Our elders have lots of care and love to share. They appreciate receiving it, too, as some have no children or may not have children nearby. For those without grandparents for their child, I would recommend finding some “grandfriends” in your community. Religious organizations, retirement centers, neighbors – they are there also looking for people with whom they can share life. That’s awesome. How old are you children? Otto is nearly 6 months old. His grama comes over every day to make sure that he does his prescribed exercises. She also is the one that gets him to talk/babble. He lights up when he sees her and says what sounds like Grama. Its adorable and she is his biggest encourager. I am soooo thankful! That is great Brandy. Do Otto’s grandparent’s live close by? 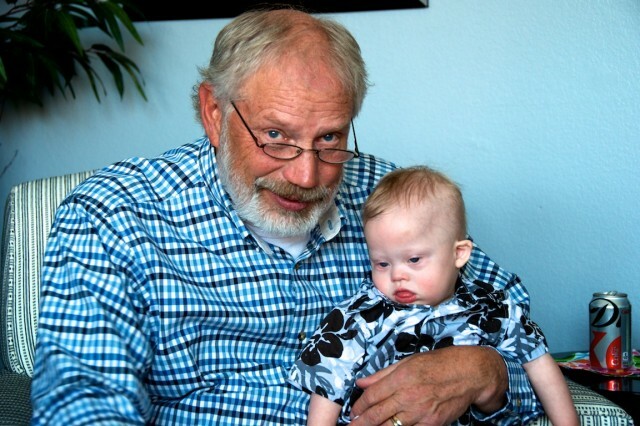 I haven’t thought about the effect of a Down syndrome diagnosis on grandparents until recently. My parents and in-laws have been hugely supportive, but my mom has always been quick to remind me of my possible future and the limitations that James might have. It’s really hard for me to hear that, but I have finally realized that she’s trying to protect me from heartbreak, if and when my expectations for James aren’t met. And I know. I know. I know that just because some kids with Ds grow up, move out, get married–even have babies in rare cases–it doesn’t mean that James will. And I’m okay with that. I’m not okay with saying that James won’t do those things. I figure he’ll write his own story, and we’ll all learn as we go. So sometimes I get upset with my mom, but I’ve had to realize that, like you said, she worries about her child and her grandchild. And she was the first to order books and send me articles and really get educated on Ds. Like another poster commented, James has been the grandchild who finally softened my dad. My dad has four grandsons, but he’s never been comfortable with them at their “baby” stage until James came along. James LOVES his Grandpa. Our son Brooks was born in July and we found out a few days after he was born that he had DS. Both of our parents have been loving and supportive of us and our family. My mother-in-law keeps both of our children(we have a 3 yr old dauther named Claire who is a great big sister) while we are at work and she is God sent, no other way to describe her. She always take great care of them both, Brooks has PT at her house several times a week and she works with him everyday to help him strengthen his muscles. From the moment we found out she said I’ll do everything I can to help. i can’t tell you what a relief it is to know that my children are with her while I’m at work. I truely beleive that God brought this family into my life and WOW what a blessing it has been. My parents are supportive also but they live much farther away so my children don’t get to see them as often so it is nice to have great in-laws. So glad you found our site. 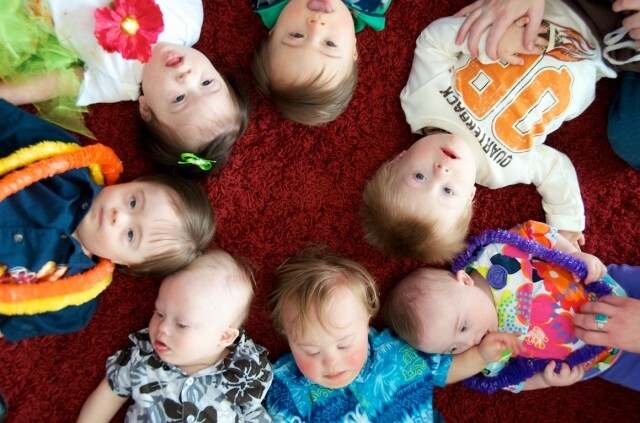 Are you guys having (or have you had) a child with Down syndrome? 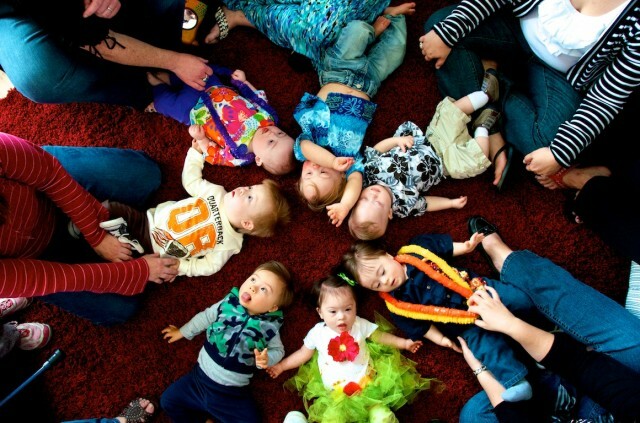 Wonderful advice for parents – You child is beautiful and what a blessing! Thanks so much for the kind words. Do you have children? Thanks! Do you guys have any children? If so what are their ages? Thank you so very much for sharing your experience. Your words have given me great comfort during the last few weeks. Our son, Jake, will be three weeks tomorrow. He is beautiful and I adore him, but learning he has Down syndrome caught us completely off guard. I am a nurse but truly had very limited knowledge about how this would effect our child and our family (We also have a 16 month old son). Thanks to you I am much less afraid and overwhelmed. I think you and your wife are amazing people and I look forward to watching your beautiful Noah grow up and have a wonderful, blessed life. I’ll be tuning in for sure! Much love and God bless you and your beautiful family.